Hole Clearing & Hand Augering — Rice General, Inc.
Save time by making it easier for the geologist to take soil and sediment samples you can send to the lab for toxin and contamination analysis. 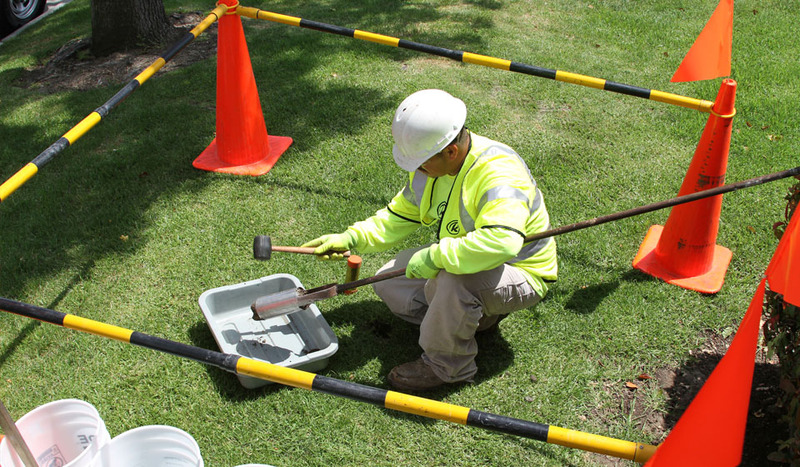 Dig out samples that you can use to measure soil density, ground moisture and other important elements. Confirm clearance for geoprobes, drill rigs and other equipment. Locate slabs of concrete or stone that, if hit unexpectedly, can damage drills, saws and other construction equipment. Find air pockets, unstable ground and other places you should avoid when drilling. At RICE, we strongly believe in being prepared. Each and every RICE truck is equipped with hand augers to support your soil sampling projects. But beyond that, we can save you time and money. There’s no need to hire multiple teams for your site remediation support. Just hire RICE to handle your environmental and industrial construction needs.